An indie game in progress! » If you had your own "Mod" item what would it be? If you had your own "Mod" item what would it be? Some Item Packs for the PGO market place. Help, my item was scammed/stolen! Please see the guidelines thread for a more detailed response on this. If you want to become a moderator., be kind, helpful, and mature on the forums. Spamming threads about how helpful in game you are, what you did, ect will not help your chances, or will maybe hurt then. Asking to become a moderator also will decrease your chances. Do not ask. Wait to be asked. Can I have free items? Right now, no items are free. There may be some special events though, keep your eyes peeled! When will this game be released? We have no set date for PGO's release, but keep your eyes open, it's expected to be released this summer, keep your eyes open! Theese are all the F.A.Q.s we have at the moment! More will be added as the game progresses. The support team is now ready to take emails. The Support Team will be adding some FAQ's later on today. 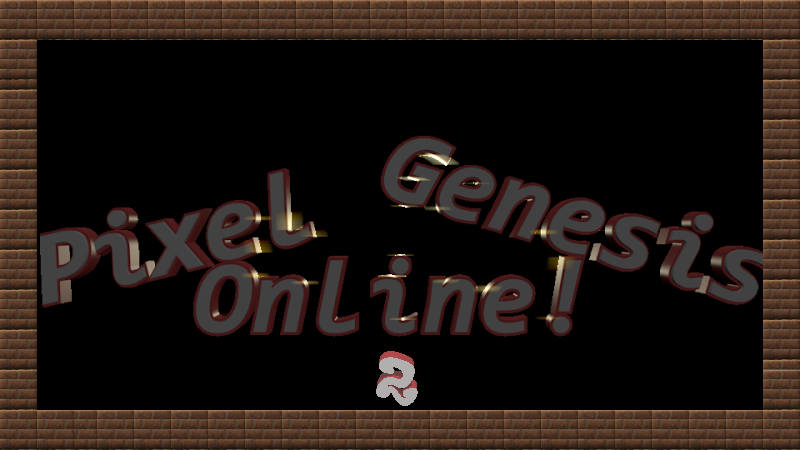 -If you have any questions or complaints about the Game, please email me at PixelGenesisOnline@gmail.com. -If you have any problems or found bugs about the Game, please email our Help Desk at PGOHelpDesk@gmail.com.